Note: We were disappointed to learn Kids Travel Happy closed their storefront in January 2012. To find Mudpuppy products, like the maps we listed below, visit here. While visiting Bethel for the winter festival, we discovered Kids Travel Happy—a small shop that specializes in unplugged toys (a.k.a. toys that won’t make you want to pull your hair out). And with school vacation just around the corner, we decided to pick up one or two items to ensure a somewhat peaceful trip. 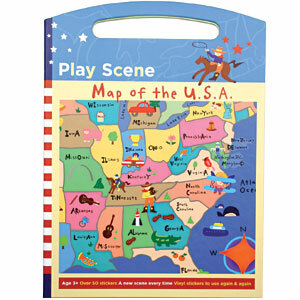 For Cute Potato #1, we purchased Mudpuppy’s Play Scene of the United States ($12.95). She’s becoming curious about where friends and family live, and this reusable sticker set makes learning about the 50 states fun. Cute Potato #2 is wild about pirates, so we found a similar Mudpuppy Mini Play Scene ($7.95) featuring a pirate ship. It’s the perfect size for him to place in his lap, and with over 40 stickers to choose from, we’re confident this set will keep him busy for at least an hour. Fingers-crossed, matey. The shop also offers wooden play sets from Plan Toys, Alex craft kits, magnetic puzzles and more creative toys for fun on the road. Can’t get to Bethel? 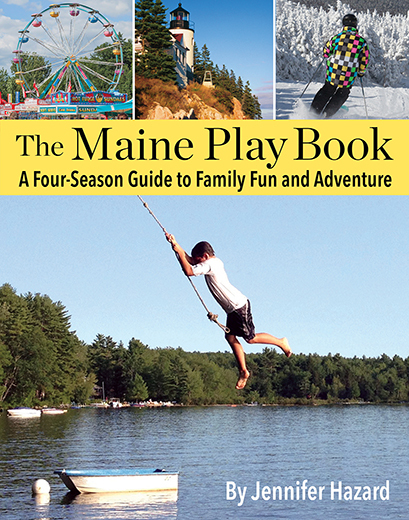 Check out the Kids Travel Happy web site, which gives parents great ideas for most any trip. Just found this review – thank you! Much appreciated. Our pleasure! 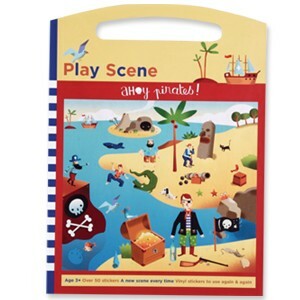 The kids loved their pirate and USA map playsets… it made for a very peaceful trip.